Welcome dear Imperialists. It's the year 2415. The interplanetary federation (IPF) has done a great job in the last centuries. 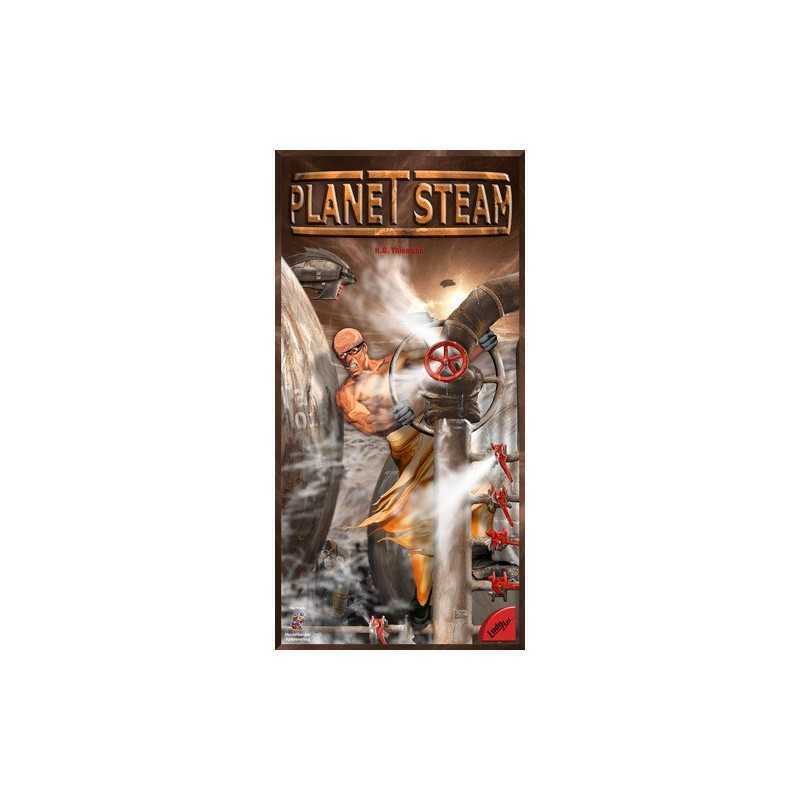 All necessary precautions have been taken to conquer this planet named "Steam" The core of the planet consists of a 6500 degrees Celsius hot source containing different resources, including water. Card sleeves "80 x 120 mm DIXIT sleeves"
Welcome dear Imperialists. It's the year 2415. The interplanetary federation (IPF) has done a great job in the last centuries. 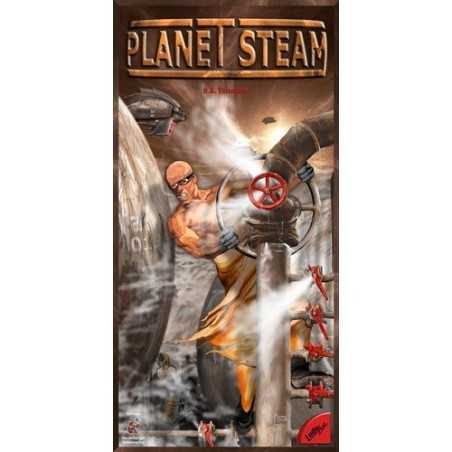 All necessary precautions have been taken to conquer this planet named "Steam" The core of the planet consists of a 6500 degrees Celsius hot source containing different resources, including water. It has taken over 100 years to complete the first block of 42 shafts from the surface to the core. But now the time has come. From every shaft surges the hot steam that is the basis of the production of raw materials. To be able to use and process this steam, platforms have to be placed over the shafts. Later, we can use the platforms to connect the water purification tanks. By using several tank extractors we can harvest other resources like energy, ore and quartz from the steam. These resources are important. You will need them to grow your steam empires. You will need to increase the capacity of your landing craft to transport your harvested materials off planet. 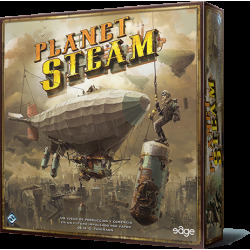 Buy and sell the resources at the Trading terminal for profit, as currency is -like on earth- always on short supply on Planet Steam. To help you in your endeavours the IPF has placed several specialists at your command. But getting the specialist that you require may not be easy. In the end the player who has, through tactics or trading, the most Credits will win the game. 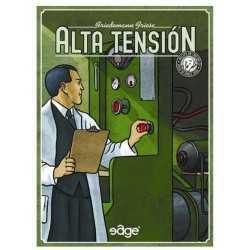 Lo tengo sin estrenar, pero solo por los componentes, lo "contundente" de la caja en sí, merece la pena muy por encima de la edición de Edge. Las reglas en castellano se pueden conseguir fácilmente.